Wow !!!! 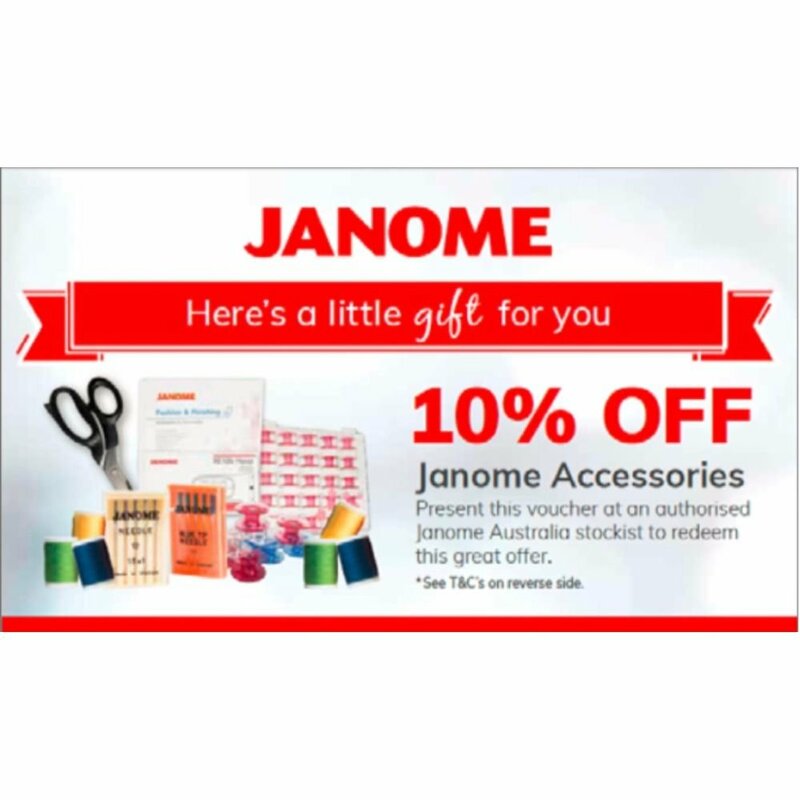 pay only $1499, The magnificent Janome Skyline S5 sewing machine is on special offer . This is an ideal machine for the creative sewer. yes it has a knee lifter, yes it is an ideal dressmakers machine. perfect for quilting machine. Save $500 off RRP. Ring us on 1300137041 for more advise. So you want an excellent sewing machine that will sew mostly anything. Ideal for Quilting, general dressmaking. This machine has been designed for every type of sewing - every day, home décor, high fashion, patchwork and quilting. The Skyline S5 has a 310mm long arm (over 12”) with 210mm of work area to the right of the needle and an arm space of 120mm ( 4.7” ) high giving you plenty of room to cope with those bigger projects. 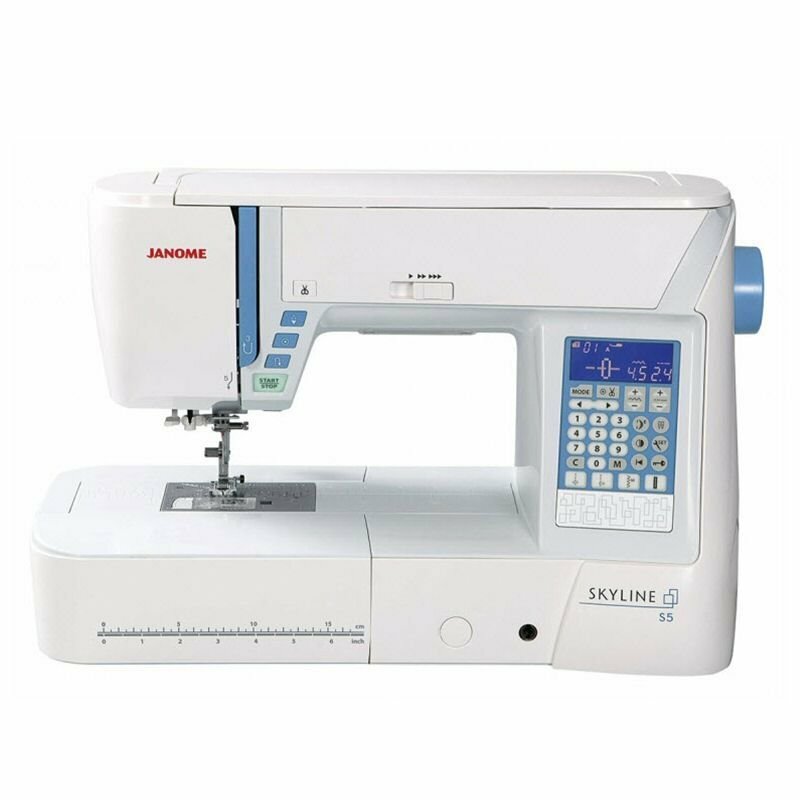 With a great range of 170 stitches including a choice of ten styles of buttonholes plus an alphabet, the Skyline S5 offers creativity on every sewing project. Just flip up the top cover on the machine to view the huge variety of 9mm wide stitch styles available. The stitch quality is excellent even at speeds of 1000spm whilst the special built-in features will help you cope with almost any sewing challenge. Pivot on corners with the needle up/down feature, control the maximum sewing speed for precision work, trim off threads with the built-in automatic thread cutter, thread the needle automatically. Whatever you need to make sewing easier, theSkyline S5 is the machine for you.